Robert Trebor snaps a pic of the audience at the recent Valley Forge convention (10/04/97). If one ever needed a picture next to the dictionary entry for "great all-around guy," one need look no further than to an image of Robert Trebor. Not only is he a skilled actor but he cares very deeply about what he does, and this comes through in his performances as well as his personal appearances. Indeed, few actors make themselves as accessible to the thoughts and opinions of the public as does Mr. Trebor. His convention schedule speaks for itself. The guy is often on the road, speaking to and talking with fans who might never get a chance to come to the Los Angeles area where he now makes his home. I was fortunate enough to speak with him on multiple occasions via telephone early in September 1997, and then to follow up in person at WarriorCon on 12 September 1997 in Washington D.C. During his presentation at WarriorCon on Saturday, Mr. Trebor showed a video of some of his earlier work, most notably from Out of the Darkness (Judson Taylor, 1985 TV) and 52 Pickup (John Frankenheimer, 1986). Later that evening he also hosted a showing of 52 Pickup in its entirety, and I was fortunate enough to sit in on some of that. It is an odd feeling, almost eerie, to be in a room full of people to share their reaction to such a work while the actor himself is also present. It is sometimes hard to believe the two could be the same person, but that is the calibre of performance that Robert Trebor gives. I find that if I speak with Mr. Trebor for a long period of time, I become aware of the fact I smile pretty much throughout the conversation. He is just the kind of person that brings out the best and most positive thoughts in you as you get to know him, and the Xenaverse is lucky to have an association with him. Often when someone laughs or smiles during an interview, I will put that in as a point of emphasis. But I laugh and smile so much when talking with Robert Trebor that the addition would take place almost every line, and therefore lose meaning. We began by talking about his early experiences and how acting had always been an important part of his life. I see that you grew up in Northeast Philadelphia, and you graduated from Northwestern University? Was your degree in law, or did you study law? I ask because I noticed you captured the Philadelphia Bar Association's Law Day contest. No, my degree was in theatre. But I was heavily into speech-making and oratory. I was doing High School theatrics. Geez, the guy may still be alive, but at one point I felt that my drama coach was a little jealous of my ability. He stopped casting me. I was giving the other actors coaching. He was really a sweet guy and could make a beautiful set. He was a tech-oriented theatre director, but he didn't know that much about what makes acting work. But he was good with the sets? The sets looked great! But the audience would sometimes fall asleep! I was trying to encourage other actors who weren't getting direction. I had started taking some acting classes very early -- gosh, where was it -- the Abbey Stage Door and Cheltenham Playhouse. I was thirteen and not a sports-oriented guy, but my parents wanted me to have group activities. Since I showed an interest in acting, they encouraged that and I took neighbourhood playhouse acting classes very early. My High School drama teacher de facto black-balled me from being in the shows in my senior year. Not officially. So I was on the debating team and I was making a lot of speeches and I won some speech contests. Speech was an outlet for your drama interests since you weren't allowed the opportunity to go on stage at that time? Right. I did a fair amount of speech making and I won some National awards from the Knights of Pythias, Optimist International, and others. It was actually my first taste of a little bit of what I'm getting at the conventions. They'd pay to fly me someplace, give me a really nice meal, I'd make a speech, and sometimes I'd win awards! I progressed through the ranks of Optimist International to the National Finals, where unfortunately I didn't win. It was at the old Atlantic City, a wonderful old hotel which has since been torn down and turned into a casino, I think. It was the idea of getting attention using my voice -- and I did write my own speeches, I want to make that real clear. 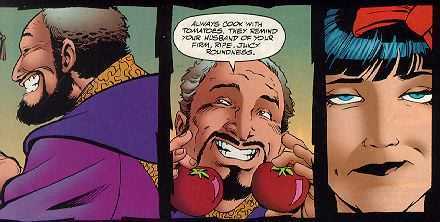 [smiles] I wasn't merely the deliverer. I was proud of that. Many people who joined that kind of contest wound up being lawyers. They got used to taking an advocacy position. in Out of Darkness . I imagine if you are the type of lawyer that appears in court often this could be quite useful training. Yes, indeed. And people say -- I'm studying with Milton Katselas now in Los Angeles. He has directed everybody. He directed Bette Davis, Liv Ullman, Goldie Hawn, and Eileen Heckart won an academy award under his direction. I am in his Saturday morning Master Class. He often says to me, sometimes in a jocular way, but a little bit chiding too, he says "You'd make a really good lawyer." Sometimes that is useful, but for an actor, you don't want to be so "in your head". You want to be out of your head a little bit and stop trying to make points and allow your instincts to take over. When you've got really good instincts you can sometimes guide them too much with your intelligence. This is a very fine point for an actor. An actor must be bright, must be intelligent, but must also have the faith sometimes to drop the intelligence and not know where you're going. Go with your gut or go off the impulse and stimulation the other actor is giving you. Sometimes afterwards I've said "Oh, that's how I got there!" Ironically, in looking at the work I did in Out of the Darkness [Mr. Trebor played "Son of Sam"] in the film with Martin Sheen I did a lot of that. It got to a point where I was fairly well prepared and Martin Sheen was just so good to work off of that I forgot I was acting. I was just literally talking to Martin Sheen as my character, and he was talking to me as his character. It was just a conversation, and I said later "Wow, I didn't even know I did that." That is when it gets really good. That is when acting gets exciting. In a situation like that, are you very driven by the script or are you allowed to ad-lib to a certain extent? You know, in the "Son of Sam" thing [ Out Of The Darkness ], as in Hercules and Xena sometimes, I got my input in before we ever started shooting. Film-making is so darned expensive, you can't afford to have much discussion once the clock is running. You've got cameramen, make-up people, wardrobe people, all standing by and you have a limited amount of time to do everything. So in the readings before shooting, as was the case in Out of the Darkness with Martin [Sheen] I'd say, "Here's what you want me to say, now would you like me to say what Berkowitz really said here?" Because I had done a fair amount of research, I actually had snippets of many conversations from Berkowitz ["Son of Sam", a serial murdered]. This made it a little more detailed and a little creepier. For instance, at one point, the script had Martin Sheen's character say "So what did you do when you killed these people" and the script for my character originally said "Sometimes I just fired and ran." Well, I had Berkowitz's response which was more detailed, where he showed pride in his marksmanship. He said "No, no, here's what I did. At first, I just used the one-handed approach. But I was lousy and kept missing everything. Then I used the two-handed approach. I was more steady and I got more confident. And you guys noticed that in the results, right?" And the director said "Yeah, yeah, say that, say that!" I wasn't doing creative writing, but I was able to use my research to add more detail which added a certain level of horror to it. He [Berkowitz] wasn't trying to be scary. He said "Oh, you want to know about me? Let me tell you exactly what I did!" Right, I remember the case. He was just telling it like it was. I believe you were living in New York at that time, is that right? Were you were following the "Son of Sam" serial killing case? In fact the teleplay performance I did was based on a character I did on stage as part of a thing called "New Living Newspaper" seven years before we ever did the movie. A script was presented to me, and I had done a lot of research -- [pauses] -- All right, this is a little embarrassing. I was in New York when the guy [Berkowitz] was caught. I was doing a show at the time Off Broadway which was Schubert's Last Serenade . My hair was very frizzy and I did play the violin a bit in Elementary school and I had to "fake play" the violin in Last Serenade . The day he was captured I was on the subway. His picture was plastered all over the tabloids. [dramatically] People would look up at the newspaper and then look at me. Their eyes would spark. They'd be freaked. At that time, there was a fair facial resemblance. I looked like him in 1977. 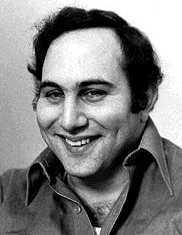 The real life Son of Sam, David Berkowitz. -- has he really been caught? Ironically, the police sketches at the time looked nothing like Berkowitz, so I was very lucky because I could have been stopped by the cops. Ever since I realised I looked like him and started getting these strange looks, I started doing research about him. I thought that someone might do a play or movie about him and felt I had better be prepared. So you did this research in advance, without any a priori knowledge you'd play that character? Yes. I felt that if my physical resemblance could make people uncomfortable I should reap some benefit from it. [both laugh] I knew I was a pretty good actor even then, in 1977. I also figured there was a good chance someone would do something about the events. Then I was in the show called New Living Newspaper where I actually played 21 different characters, but one of them was David Berkowitz. That was actually the character that got me my first agent. When I first got the script it was a little bit soap opera. It was David Berkowitz in court. They had him saying stuff like "Stacey is a whore" while her parents were in court, which he did say, but the script was largely just creepy for its own sake. A sensationalist kind of thing. Sensationalist, and it wouldn't give me the chance to do what I knew could be done. So I said "Let me work on this." The director then was George Ferencz, a *fabulous* theatre director. Terrific guy. He said "Bob, here's what we got, show me something better." I went back home to my pile of resource material. Now in New Living Newspaper , every work spoken on that stage was actually from newspapers. Which was nice because we didn't have to pay anyone for it since that is public domain and especially being Off Broadway like we were. But in one paper there was a fascinating letter he had written five years before he had ever started killing anybody. Everything we did on stage had been a story from that year, 1977/1978. This was not from that exact time, but I thought it was going to be more interesting. I read his letter to the cast and crew, not having it memorised yet. This was a letter to a girlfriend. He was still a virgin at the time, this was a platonic friend. He was talking about his experiences in the army in Korea. I don't remember exactly, but it went something like "I feel strange here. I don't really want to be here. Why does man have to kill? Why do we have to hurt each other? I only want to help people. I only want to -- I only want to -- I'm so f***ed up here, I don't know what I'm saying. Listen. I've gotten good with a gun. Don't make me use it on you." When I read this to the director and the cast their jaws just dropped. They said "OK, Bob, you got it! That's what we're going to do." Before each of these news stories there would be a voice-over on a dark stage. In this case it announced the David Berkowitz capture and trial. The lights would come up and I'd be in just a white t-shirt and black pants, like I was sitting on my bunk in jail. I'd be looking at the audience and saying my speech. I'd do that little smile after the line "I've gotten good with a gun." The Village Voice in the review said that if there was ever a film version of the "Son of Sam" story there was no one for the part but Robert Trebor, so that was a great moment for me in 1978. Then I went back to my survival job, which was working for American Management Association and doing market research over the phone. [laughs] I got myself an agent and I was working a little bit but I couldn't support myself as an actor. Seven years later when the movie was cast with Martin Sheen people remembered my theatre performance. It stuck with people that long? It sounds pretty powerful, too. It's the thing about not being "on the money". Don't do something totally on the nose, try to do something a little elliptical, something that gives the audience a little texture, something that doesn't hit the audience over the head and say "bang, underline". Ironically, even now with my beard and it's been almost 20 years since I did that thing and I've played Salmoneus now for three and a half years, in New York City I will still get a stranger saying "I saw you do that at Playwright's Horizon and it has shaken me to this day." That's the power of theatre. It's a limited run. Even after all performances, only between 1,000 and 2,000 people saw me. Seven or eight million people see me every week when I'm on Hercules or Xena . But that's the kind of thing that sticks with people after a theatrical performance. I'm playing a funny, jolly character now, but it's quite a privilege to still have that effect on people so many years later. There's something about that communion with the audience, to hold them in the palm of your hand and feel the reaction, either in a dramatic moment of silence or a comedic moment where bang you get them to laugh. It's a very, very heady feeling. Everyone I've talked to who has had theatre as well as film or television experience has said exactly the same thing. Everyone who has done theatre has said they've always wanted to do it again because of that connection with the audience. Exactly right. To know you can have that effect on people is just wonderful. I assume theatre was something you knew you wanted to do for a long time. [laughs] Yep, since the age of ten. Much to my parents' consternation. Although they're very proud of me now and they're my biggest cheerleaders. Although they probably wanted you to be a lawyer. Yeah! They said "Look, you can do theatre on the side!" But now with some of the trials lately there are all these issues with ethics and law and many of them are trying to get back into acting! They're very proud now I'm not a lawyer. They realise now that to be a lawyer and make a living you have to know that everybody deserves a defense, even the guilty. So I don't have to bend my morality perhaps as much a lawyer would have to. Whether he's telling stories or singing songs, Robert Trebor's stage history comes through in his personal appearances. You did Shel Silverstein's The Crate in 1985. Was that your first "major" break? No, no, although there's an interesting story about that show. I was actually doing that when I was in the "Son of Sam" movie during the day. That's a young man's game. I was literally doing 17-hour days. Indeed! Exactly! I got up and played many different characters in the variety show. I was doing "Son of Sam", this very intense, quiet, paranoid, scary part during the day for about 12 hours. I literally had to be wrapped by 6 o'clock. We were shooting in Jersey and the show was in New York. Then I had to play a genie who comes out of a TV set for a guy who doesn't want a genie. Until he makes his three wishes I'm trapped. I have to stay in his room watching television with him all day, which drives me crazy. I then play a French chef who cuts off his toes, because he works in a restaurant that makes anything for everybody and he misinterprets "French toast" as "French toes". In that show I played seven extremely whacky, wild, burlesque characters. This was at night. Then I'd get up at five in the morning to play David Berkowitz again. I consider New Living Newspaper as my first major break, and that was in 1978. That got me my first agent, which got me out and into more things. I couldn't make my living as an actor at that point, but I was agented and auditioning for some high-profile stuff. As far as the name, Robert Trebor is concerned, were you frightened by a palindrome when you were a child? No, no, I joined the unions in Chicago and at the same time I joined Equity, another actor my age joined with exactly the same name. You can't have two names the same? Well, you can , but it's hard enough getting work under your own name without being mistaken for somebody else, and the union said "You'd have to add your middle name to it." Like David Hyde Pierce on Frasier. Well, my name is longer than Pierce, but adding my middle name to my real name is too long for a marquis and it's too tricky. When I was about nine, I was a fan of Regal Crown sour candies, made by an English company called Trebor. And one day many years after, I just looked at the name "Trebor" and said "That's my name backwards!" The Trebor company is still alive and well as part of the Cadbury corporation. So it wasn't really planned in a palindromic sense. No! I just registered it as something to use at a future point. It was just serendipitous. I was perfectly happy to go with my given name, which we'll keep a mystery. I may release it in the future at a convention sometime. But at this point my passport, my credit cards, my social security number, my voter registration, everything is under Trebor. After Out of the Darkness , you did several guest appearances on a number of television shows. Yes, I did Miami Vice (1984-89) with Don Johnson about a week after it was aired. After Out Of The Darkness was aired they just gave me stuff. I got calls from Hollywood and went out to California. I had never been before. Out of the Darkness with Martin Sheen got very high ratings and my character obviously made quite an impact. I got all these calls from people who didn't know me but who liked the performance. Martin Sheen called and I actually spent Thanksgiving at his home. At that time Emilio Estevez and Demi Moore, his girlfriend at the time, and Charlie [Sheen] was there, and Martin said "You know, Bob, you really should take advantage of this. You've got a window of opportunity here, and you should come out." I said "OK." I didn't really want to stay with him, he invited me out, but I had to find a place to stay. I didn't have a lot of money but felt I should try to take advantage of the opportunity. A lot of casting directors called and I got some good work. After Miami Vice I co-starred with Roy Scheider in 52 Pickup , which I got on one of my trips out to California. It was directed by John Frankenheimer, a great, great film director. There's a story to that, as well. I had a Thomas guide, you know what that is? Yes, the big map book. Right. You don't drive much in New York and I had to check my addresses carefully. I was given an appointment to meet John Frankenheimer. I was a movie critic and I had written film critiques for my High School and college newspaper. As part of writing my own speeches I also won some critique awards for Scholastic Magazine and the very first film I critiqued that won an award was Frankenheimer's The Fixer (John Frankenheimer, 1968). Yes, that blew me away. Because here I was auditioning for him, and his work I had critiqued 14 years before and loved. I was very anxious to meet him and they gave me the address. I went there and went to the third floor. I said who I was and that I was there to audition for John Frankenheimer. The secretary said "Mr. Frankenheimer doesn't see actors here." He was in a production meeting and this was the production office. I said "I'm only in town for another two days and I have to get back to a show in New York. My agent told me to come here could you please ask him if he'll see me." The reply was "I don't know, he never sees actors here. Wait in the lobby." So I wait, five minutes, ten minutes. I ask again, "Does Mr. Frankenheimer know I'm here?" "Yes, but he doesn't see actors here." I waited another five minutes and I see this figure go to the elevator and push the "down" button. I recognised him as John Frankenheimer from a documentary on directors I saw on PBS. I shout from across the lobby -- this is actually true, I'm not goosing the story -- "Mr. Frankenheimer, we have an appointment now!" He turns around and says "Well who are you?" "My name's Robert Trebor, I'm here to audition." "I don't see actors here." "I'm sorry, but I'm only here for a limited amount of time." He looks at his watch and says "All right, all right. I'm late already I may as well be a little more late. Come on, I'll read you myself." Now normally, when you audition, the casting director reads with you or they have you read with another actor. The director wants to stay back and look at you. He was all pissed off, but I thought d*mm*t, this is really my time and I'm not cheating here. I was really supposed to meet him. You were merely doing what you were told to do. That's right! So finally he says "OK, we'll read this scene and we'll see how it goes." So he reads the Roy Scheider part. Now I don't know if you've seen the film but this is the most dramatic part. My character has a nervous breakdown, I cry, I sweat, I spill drinks all over, it's like a five page scene. It's really intense and that's the one I prepared for. He reads the Roy Scheider part, "So Leo, why did you call me here?" I open my mouth for about thirty seconds and he says "Wait a second, hold it, hold it. What's your name? Bob? Bob, listen. You do a lot of stage work?" I said "Yes." He says "You're talking too loud. Take it down, you're too big. You're not going to have to reach the back row, take it down, take it down." At this point I say to myself, "OK, great. He's p*ss*d off, he's late for a meeting, he thinks I'm too loud, I'm dead!" But this is still my time, d*mm*t, so I want to show him I can take direction at the very least. Then we do the whole scene with no interruptions. This five page scene. He puts the script down. He looks me in the eye. He wags his finger at me and he shakes his head "no", side to side. As he's shaking his head he says "You might be really good for this part. Let me tell you something. I was on my way to audition somebody for this very part. And I know this actor's no good. So what's your name again, Bob? I'm glad you could take it down, you were very intense, very good." As we're walking out the door, his first AD [Assistant Director], Bradley, whom I'd never met, said "John, this guy is fabulous! I just saw him play "Son of Sam" a couple of months ago. This guy is a fabulous actor!" John hadn't seen Out of the Darkness , and he goes "Oh, yeah ?" So this corroborates his initial instincts about me. Bradley asks "Is he going to be in the movie?" So John says "Bob, you have to go back to where you were supposed to go, I want to read you with Lou [the casting director]. Do you know how to get to my office in Santa Monica? I'm going to be there in an hour and a half, now don't be late! You're going to read one more time for me." So I call my agent and say "This is great, this might be coming down very fast." But even though I was auditioning in Los Angeles I was living in New York. I wanted to be handled as an out-of-town actor. That means a hotel room, the per diem, the whole thing. So I check my Thomas Guide and directions, and I'm where I need to be in an hour and a half. Lou DiGiamo is the casting director, who ironically cast Out of the Darkness . He has a big smile on his face and says "Bob, what are you doing here? What a surprise!" I did not read again. Frankenheimer said I did not have to! John just extended his hand to me and said "You got the part!" John brings me to his office and he's got all these marlins mounted on the wall -- he's a world-class marlin fisherman. I said "I've been a fan of yours for so long now!" He said "Well, I'm a fan of yours now too, Bob. This is such a wonderful moment, I'm so glad you stopped me at the elevator!" So the lesson is when you know you're right, stand up for yourself! Make some noise. Because if I had been shy or something or just let him leave the building after noticing him, there was no way I would have gotten the part. That's absolutely true, I didn't goose that at all. That was actually my first big thing after Out of the Darkness . Then I did Making Mr. Right (Susan Seidelman, 1987). I did a series of films, and then things got slow. I said "If I'm this good, then I can continue to live in New York." I'm a city guy. Los Angeles is nice, but it's not a city . Los Angeles is just not New York, no. Even now I go downtown [Los Angeles] even more than some people think I should because I like the city, I like verticality. I like schmoozing with people, rubbing shoulders with people. Even so, there's not a lot of verticality in Los Angeles. No, there isn't. I continued to live in New York at that time and it was hampering my career substantially. I'd get calls from my agents and I'd just fly out to Los Angeles from New York, essentially. You can't get discount tickets if you buy just a few days in advance. Even though I had done Out of the Darkness and 52 Pickup I was not making an enormous amount of money so I could fly back and forth all the time. At one point I was in Los Angeles doing a guest spot on Baywatch . I was in the original season of Baywatch . I was a masked killer. It was good money, and they really liked me because of my work on Out Of The Darkness . What they did was, they had me make up my face like a skull mask. The character I played was avenging his mother's death because of real estate developers who had her killed so they could tear down her house to build a hotel. Everyone involved in that deal my character was supposed to kill. But by the final cut, they had removed all my dialogue and kept cutting back to t*ts and *ss. So it just became, "Hmm, OK, I'm a prostitute, I'm just doing it for the money, I won't bug anyone about it" kind of deals. While I was out there I got a call from my agent to audition for something and I did and I flew back when the thing was over. I got a call from my agent when I was back in New York who said "Can you fly back out here tomorrow? Martin Sheen is doing a new movie for TNT called Nightbreaker (Peter Markle, 1989 TV). Martin loves your work but the director doesn't know you and he wants to see how you and Martin work together with Emilio." Emilio played Martin 40 years earlier at this Nevada test site or something. I said "I can't come out tomorrow! I can come out in three days, but I've got a booking!" I was doing radio commercials. I couldn't do it. "Sorry, you're gonna lose it, then. The director has to go back to Las Vegas and he'll only be in town between 2 and 5 o'clock." So I said to myself "G*dd*mm*t!" It was at that point I said "I gotta move. I can't allow my geographic prejudice to hobble my career." I always thought if I was good enough they'd want me, that they'd give me parts or arrange their schedule around my availability. Uh-uh. Doesn't work that way. So I resolved to move from New York to Los Angeles. It's a good thing I did because I don't think they auditioned for this original Hercules part in New York at all. There were enough good New York actors living in Los Angeles that they don't have to fly back and forth. They draw from a large pool of local talent in New Zealand as well, except for principals in some cases. Yes! The vast majority of roles are kiwi. It's a seven thousand mile trip and it's 14 hours and they fly you first class, so it's a lot of bucks going back and forth. Robert Trebor surfs the 'Net from time to time. That leads us up to what I wanted to discuss next, which was your roles in Hercules and Xena , but before I get to that, I wanted to skip around a little bit and wanted to comment that as far as many show-biz people go, you seem remarkably Internet savvy. In the sense that at least you know what it is and can use it. Yes, I've become that way in the past four or five months. Actually, I was trying to avoid it like crazy because I have a slightly obsessive personality, and the Internet can become really addictive. I was literally trying to avoid it, but my partner, my live-in spouse/mate/honey had to upgrade her computer. She decided for her business, which we run out of our home here, she really needed to be on the Internet. So I just started dipping my toe in here and there, and then I saw people were saying some really nice things about me and saying nice things about the show. It becomes addictive. I've been reading Whoosh! , I think it's great. I'm so pleased to be interviewed! I think at one point about THE GAUNTLET (#H12) they said something like "Robert Trebor has made an enormous impact on the Xenaverse by convincing Hercules that Xena was not a bad person". It mentioned I brokered a relationship between them. I said "Well, yeah, that's great! That's true!" That's exactly what I felt like I was doing. Just as a point of discussion, it's been noted that the Salmoneus character is to Hercules what the Joxer character is to Xena, that is to say a kind of "comic relief." Salmoneus at this point seems to have a lot more depth than Joxer, although the writers seem to be correcting that a bit. Pretty much everyone loves Salmoneus, but there is still a pretty sharp division between those people who like Joxer and a sizable group that still dislike that character. Yes, it's difficult. I've talked to Steve Sears about this. Steve's a great guy, and we're actually appearing together at several conventions. It's really not fair to Ted and it's not fair to the writers who created Joxer. Joxer is not really an analog to Salmoneus although he does a comic relief function. As far as I can see, the similarity ends there. Yes. I know Ted is in a couple more Hercules episodes and I hope I'm going to do some more Xena s. There is a fair amount of crossover in that they both take place during the same mythical time. I'd love to appear with Ted. I think they feel reticent about putting two comic characters together like it's too combustible. But I think it would be great. Often the writers thought that Michael [Hurst], Iolaus, and I shouldn't appear together, but we have and the audiences love us in The Lost City (#H53) and the French episode Les Contemptibles (#H54) where we were goofing on each other as different characters. Perhaps it's certain prejudice at some times, a sidekick is a sidekick and you can't have two sidekicks together or it might distract from the hero, whatever. But I know Joxer's ship has come in. I think over time things have moderated for that character, especially with some brilliant work by Chris Manheim in COMEDY OF EROS (#46). He's been made much more sympathetic and statistically, a number of people have come back to say to me "He's not really that bad a guy." You have to do that, you can't just have a goofball in every episode. For Salmoneus, I did what I could to make him a little more three-dimensional in every episode as well. I was very concerned. As I said in other interviews, I don't want to be known as "the greedy Jewish businessman." I'm really touchy about that. Sam [Raimi] is Jewish, Liz Friedman is Jewish, a number of the writers are Jewish. It's a very touchy point. The Xena and Hercules comic books have come out. In the Hercules ones, Salmoneus appears in them all and in the first three is in them very much. It's a comic book, so there's a certain amount of caricaturing involved. I basically love the way the artists drew me. It's very funny and a good flavor of me, Salmoneus/Robert Trebor, in the dialogue. But someone sent me a German edition of one of the comic books. It has the same exact artwork. There are a couple of panels where I see German words coming out of my mouth and I'm going "Sh*t. This looks a little like the posters one saw back in Hitler's time." My nose looks a little too hooked, or my face has that "evil" quality to it, like the "avaricious Jew". Right. They used in propaganda to show the so-called evil Jewish banking monopolies and so forth. Exactly! Exactly! It didn't strike me in the English version. It was the same artwork! But until you saw it in that context, it didn't draw your attention to it. Yes! I love Renee Witterstaetter, the editor at Topps, and I'm writing a three-part story for the first Xena comic book series. I said "Please tell the artists to be careful about the caricature of the hook nose or having a dinar in my hand looking gleeful, that sort of thing." These comics are translated all over the world and I don't want to add fuel to a fire. I don't want people to say "Ah, see there? It is true about the greedy Jew!" We're very careful about that. Eric Grundemann and Kevin Sorbo especially on Hercules . Sometimes the writers will put in something like "Ah, he's just that money-grubbing Salmoneus." We'll say, "No, no, no, let's take 'money-grubbing' out please." First of all, you wouldn't want other characters saying that because many people find Salmoneus lovable and would be offended at the character saying that. We don't want to call attention to false stereotypes. I'm not inflecting up, I'm not using Yiddishisms on the show. Even though Trebor is not a Jewish name most people know I am Jewish. I'm proud to be Jewish, as I'm sure you are. I don't want to preach anti-Semitism to the world even by entertaining by doing some kind of "Amos 'n' Andy" type of thing. I don't want people to say "Ah, there's the Jew, and he's gonna squeeze the shiksa's breasts and he's gonna steal money from people." It's just not true, and it's a false stereotype. Salmoneus does good things. He admires Hercules and he grudgingly realises he has to do the right thing. Just as in THE GREATER GOOD (#21) he does listen to his heart and his conscience, and in fact he does the greater good. The comic value is that he doesn't do it willingly. If I immediately just defer to Hercules, I wouldn't have a part. There would be no need for a Salmoneus. But we're very sensitive about that and the writers are helping us out in that direction. Some lovlies aren't so lovely in THE THEFT OF THE YOUNG LOVELIES. "You can't be too rich or have too many Amazons." When he's not working for a big Science/Engineering company that (amongst other things) designs, builds, launches, and operates exploratory spacecraft, Bret writes fantasy novels and short stories. Bret is a man of many skills, having also previously been an Olympic-qualified archer, a drummer in the Butch Grinder Band, a news reader for Public Television Station KVCR, and a Deputy Sheriff for the County of San Bernardino, California. He also collects Japanese swords, armour , and art. He and his dog hunt down stray Bacchae in New England.